I live in Israel and I learn Talmud at a black-hat yeshiva. I really want to go into the army, to serve in the IDF, because it is a universal requirement of the state and it provides a vibrant force to defend Jews against the array of Israel’s hostile enemies. Also, I have always felt that I was born to be a soldier. My rebbe teaches us that full-time Torah study is the best way to protect and preserve the Jewish people. And he also calls the IDF the shmad apostasy army. He forbids his students from joining. I won’t go unless I have approval to do so from my religious mentor. What should I tell my rebbe to convince him to permit me to serve? Your predicament is a tough one. I can see how this dilemma can tear at your soul. On the one hand, you live in the heart of a community that teaches that the values of the Torah are sacred. You study in a yeshiva that is based on the premise that the mitzvah of talmud Torah — study of the sacred books — is paramount. One known metaphor that motivates you is this: If all the commandments and activities are placed on one side of a scale, and the commandment to study Torah on the other side, Torah study outweighs them all. Your community believes strongly in that value. And there are teachers in your community who embellish the value of keeping mitzvot and studying the sacred books with mystical claims. Some do say that God protects the Jewish people because of the virtue of the tzadikim — the saintly people who study the Torah and fulfill the 613 commandments. Your charedi community insulates you tightly from the general culture of the state. You live in a carefully crafted bubble that fences you off from all other surrounding communities, cultures, and worlds. I get it. I grew up in an Orthodox family and attended Yeshiva University from high school through rabbinical school — for 11 years. Okay, that environment is more porous. It is open to the study of general disciplines of knowledge. Still many of the rabbis who taught me strongly believed in insulating, segregating, and separating the sacred from the profane. Torah study was special and sacred. And secular subjects were to be tolerated, not venerated. On the other hand, you do live physically in the modern State of Israel. This year, 2018, that miraculous state will celebrate its 70th anniversary. In Jerusalem, you easily can see the new light rail; the modern buildings and streets; the infrastructure; the cars, trains, and planes flying overhead. You see that business and commerce is booming. You can see young soldiers on the roads hitching rides. Even if you do not participate or attend them, you know there are museums, universities, art galleries, theaters, sports stadiums, soccer games, swimming pools, restaurants, and bars in Jerusalem, in Tel Aviv, and throughout the land. Your rabbis tell you that the chiloni secular lifestyle is decadent. They assure you that living by secular material profane values will lead you to sheol — to the depths of the netherworld. Your rabbis teach you that the IDF is where you would be led to apostasy — to the destruction and corruption that comes with the abandonment of your faith. If you encounter the secular, they ominously warn, you will be consumed by it into oblivion. No matter how relentlessly your teachers want to segregate you from the general population and culture of the state, you still may understand that it is a colossal success. You may intuit or suspect that the ongoing creation of the State of Israel is the promised fulfillment of the messianic predictions of redemption of our classical prophets. Now in all that context, let’s get to the crux of your question. Why do the rabbis not want you to serve in the IDF? What can you do about this issue? Step back and understand who we Jews are and what characteristic has been basic and crucial to our identity over the millennia. Some believe that we Jews are simply MOT — members of the tribes of Israel. It’s not just any tribe. It’s the one God chose to be his special people. That is the bedrock of our coherence as a society. What does that mean in analytical terms? When I left the cloisters of Yeshiva University and went off to Brown University to study religion, I was floored when I read the classical works in one discipline of learning, anthropology. I studied the works of Bronislaw Malinowski, Emile Durkheim, Claude Levi-Strauss, E. E. Evans-Pritchard, James G. Frazer, and many others. They wrote a lot about the nature of magic and religion among unsophisticated tribes. Every insight from the early to middle 20th century researchers who worked with primitive religions and cultures rang loud bells for me. I realized that I was a participant in parallel tribal groupings as I grew up. I knew firsthand, from my own experiences, about the structures that the anthropologists had observed, discovered, and set forth in their field work. I imagined that I came to Brown to study after 23 years of my own field work among the tribes of the Jews. What I recognized back at Brown was profound and eye-opening for me. And I offer these few insights based on the experience of my past learning to give you avenues to resolve you own bedrock quandaries. Two positive aspects of tribalism are, first, that it fosters strength, focus, and determination generated by a sense of loyalty of members to the collective. Second, tribalism thrives on the development of rituals and philosophies that foster social solidarity. Two negative aspects of tribalism are, first, that it fosters seeking and imagining enemies all around. That helps cement the unity of the tribe. Second, tribalism draws significant energy from perceiving dangers outside the boundaries of the tribal community. That leads to the development of practices and principles that segregate the group from the general world and demonizes the other — the outsiders. The State of Israel was created out of a sense of tribal unity and destiny on a much broader scale by a wide variety of diverse groups united around a tribal core. And now, skipping over myriads of details of history, we come to your problem. Service in the IDF is one of the core rites of passage for a young person coming of age in the broad tribal culture of modern secular Israel. Contrasting with that, the contemporary yeshiva world in Israel was created out of a different sense of tribal unity and destiny. Obviously, contrasting sets of specifics governs the two parallel worlds that coexist side by side. Years back, I used to say to my university colleagues in Israel that I was so impressed with the miracle of the modern state as it was playing out in Jerusalem in the 1980s and 90s. Jews and Arabs living side by side, with minimal conflict. How amazing is that, I would proclaim. One time at a social dinner with professors, I said these things again. And a prominent scholar stopped me and said that I miss the point. The real miracle of Jerusalem, he said with confidence, was that charedim and chiloniim — religious and secular Jews — live side by side, without killing each other. Today that miracle is being examined daily in the press as it covers the political tensions and dramas between religious and secular parties in the Knesset. And tense frictions like these soon will be aired in a new fictional TV drama, “Autonomies,” to be broadcast on Israeli TV later this year. The show’s premise is that in the near future Israel has divided into two states because of irreconcilable issues. But not the ones you expected. In this show, one is a religious charedi Jewish state, with its capital in Jerusalem and a new wall around the holy city, that is locked on Shabbos. And the other is a secular chiloni Jewish state, with its capital in Tel Aviv. I’ve watched the brief trailer and other clips and reports about the show and I can say that it presents a terrifying dramatic premise. But that’s the divide you face as you try to bolt from one version of Jewish tribalism and cross somewhat over to the other. My suggestion is not to try even one bit to change a basic cultural premise of your group. I’m certain that there is nothing you can say to your rebbe to get him to bless your decision to join the IDF. If you want to serve in the IDF, it may mean you will need to leave your charedi community. There are Orthodox hesder yeshivas that facilitate service for their students. But they are religious Zionist institutions, not charedi. You might try that path. To be sure, the IDF and other organizations will help charedim who enlist in Tzahal. News media reported at the end of 2017 that nearly 3,000 “lone soldiers” of charedi origin now serve in the IDF. Changes like this one for you and for others come with costs. If you decide to go, make sure you are willing to bear those challenges, which likely will include breaks with your friends and family. It can make you into a “lone soldier” even though your family may live close by. In all major paths of life, my advice to young and old alike is if you feel strongly that you were destined to follow a certain course of action, if you feel “This is what I am here on earth to do,” then you must go down that road, even at great costs. If you do not, surely you will regret it later in your life. But if you are not that sure, try this method to make your decision. Write all the positives for joining the IDF in one column on a sheet of paper. Write all the negatives in another column. Hold that paper in your hand and close your eyes. Breathe. Open your eyes. Now follow the path that your gut intuition tells you to choose. And good luck to you as you go forth in the adventure of your life. 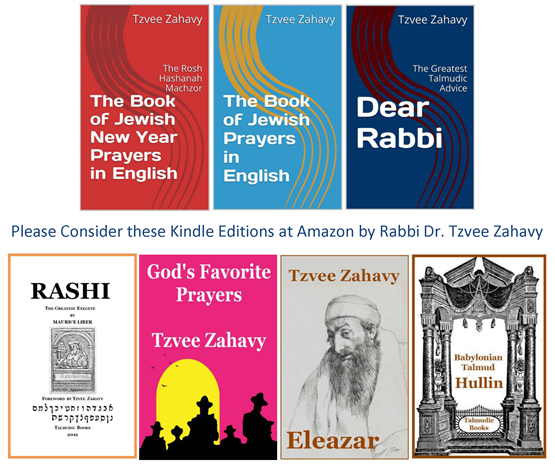 Tzvee Zahavy has served as professor of advanced Talmud, halakhah and Jewish law codes, Jewish liturgy, Jewish history, Near Eastern and Jewish studies, and religious studies at major U.S. research universities and seminaries. He is a prolific author who has published numerous articles and books about Judaism and Jewish texts. He received his Ph.D. from Brown University and his rabbinic ordination from Yeshiva University. Visit www.tzvee.com for details.